Williams then opened the floor to the audience, which led to an interactive discussion. Many of the attendees representing non-government organizations and the business community agreed to work together with the police to make the island a safer community, while others addressed the issue of enforcement. 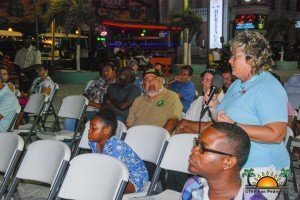 One particular topic was unauthorized tour operators and peddlers on the street disturbing tourists with illegal products. 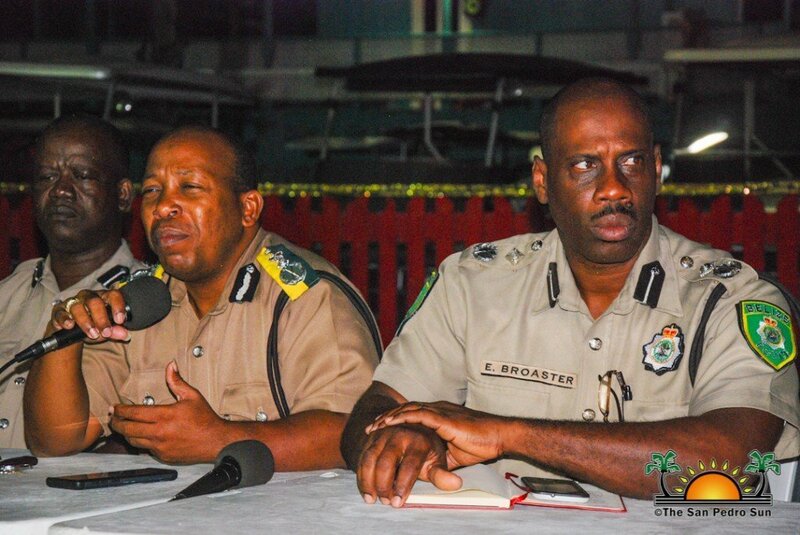 Williams said that he would work on getting more tourism police on the island to assist with enforcement. 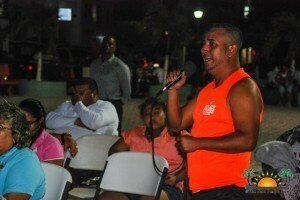 He hopes to increase the police personnel on the island whenever there is another recruitment. Attendees complained that when visiting the police station on the island, they get an unprofessional attitude from officers, who at times even refused to take statements. 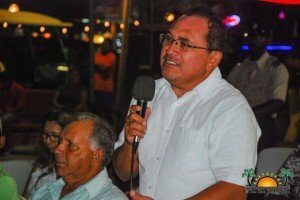 Williams announced the installation of a surveillance system at the San Pedro Police Station equipped with audio to monitor the behavior of police officers. He also indicated that no police should deny anyone from making a statement. If such a thing happens, they should speak to the commanding officer, OIC Reyes. Reyes confirmed this, informing the audience that he can be approached any time a police officer behaves in such a manner and even shared this cell number. 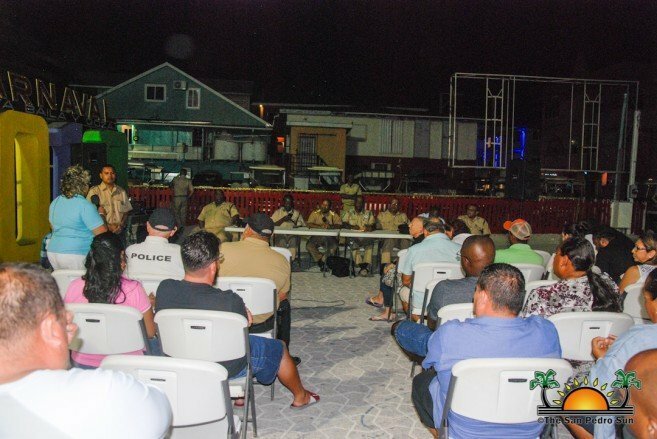 Residents are now hopeful for a better relationship with the police department, and they look forward to a year with less crime on the island. 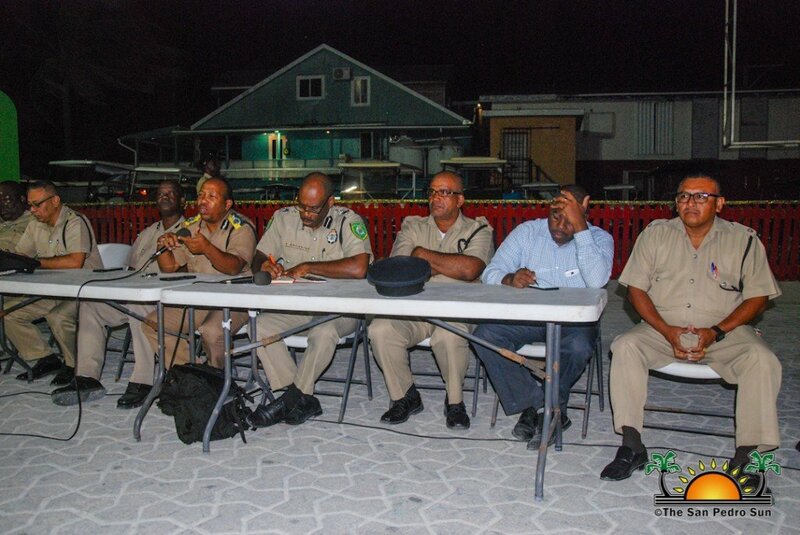 Williams commended islanders for their good track record for working closely with the police, and he believes that such a partnership will grow stronger after such a successful meeting. Before wrapping up the meeting, Williams emphasized once again that his department will work getting a lot done for San Pedro to ensure the safety of both islanders and visitors alike, and more importantly, the tourism industry that helps so many Belizeans thrive.